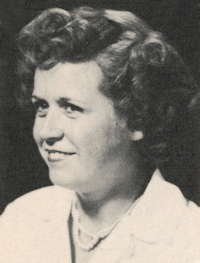 Obituary – Miller, Betty Jo (Branham) « Perry High School Alumni Association, Inc.
﻿Betty Jo Miller was born April 19, 1931 at Oklahoma City, Oklahoma. She was the adopted daughter of Raleigh Monroe Branham and his wife, the former Noma Fern Smith. She died June 8, 2001 at Grace Living Center in Stillwater, Oklahoma at the age of 70. She and Leslie Raymond DeVilbiss were married on July 29, 1950 at Stillwater, Oklahoma. DeVilbiss died April 8, 2000. On November 23, 1971, she and George Delbert Miller were married in Poteau, Oklahoma. Miller preceded his wife in death on April 1, 1972. Mrs. Miller had resided in the Perry community since she was three months old. She attended Lone Elm and Barrett rural schools, Sumner high school, and was a 1950 graduate of Perry high school. She resided east of Perry until 1970, when she moved to town. She was a housewife, was of the Baptist faith and was a member of the Perry Senior Citizens organization. Funeral will be at 10 a.m. Tuesday, May 12, 2001 in the chapel of Brown-Sisson Funeral Home. Albert Quick, pastor of Sumner Baptist Church, will officiate. Burial will be in Grace Hill Cemetery. Memorials may be made to Perry Senior Citizens. Survivors are three sons, Leslie Allen DeVilbiss and his wife, Tami, Perry, Oklahoma, Paul Mark DeVilbiss, Crescent, Oklahoma, and Raleigh Leon DeVilbiss and his wife, Andrea, Perry, Oklahoma; four grandsons and eight granddaughters, Jason Allen DeVilbiss, Christopher Michael Dale, Heather Rae Klingaman, Jessica Lynn DeVilbiss-Freeman, Lindsay Michelle Lee DeVilbiss, Ivy Lynn Tell, Maston Samual DeVilbiss, Nichole Lechelle DeVilbiss, Leslie Renee DeVilbiss, Hayley Dawn DeVilbiss, and Jonathon Trent Leon DeVilbiss, all of Perry, Oklahoma, and Julie Ann Groom, Austin, Texas; one brother and sister-in-law, Gene Ray and Mary Jane Branham, Perry, Oklahoma; a sister and brother-in-law, Frances Darlene and H. C. Langford, Perry, Oklahoma; and three great-grandchildren, Dillion Brooks Cowen, Shawnee, Oklahoma, Zoe Corinne Freeman, Perry, Oklahoma, Pierce Allen Voise, Edmond, Oklahoma. One daughter, Barbara Gayle DeVilbiss, her parents and one granddaughter, Jennifer Renee DeVilbiss, preceded her in death.